A: I continue working on a large pastel painting that combines some of my finds from Oaxaca and Mexico City, Kandy (Sri Lanka), and Panajachel (Guatemala). 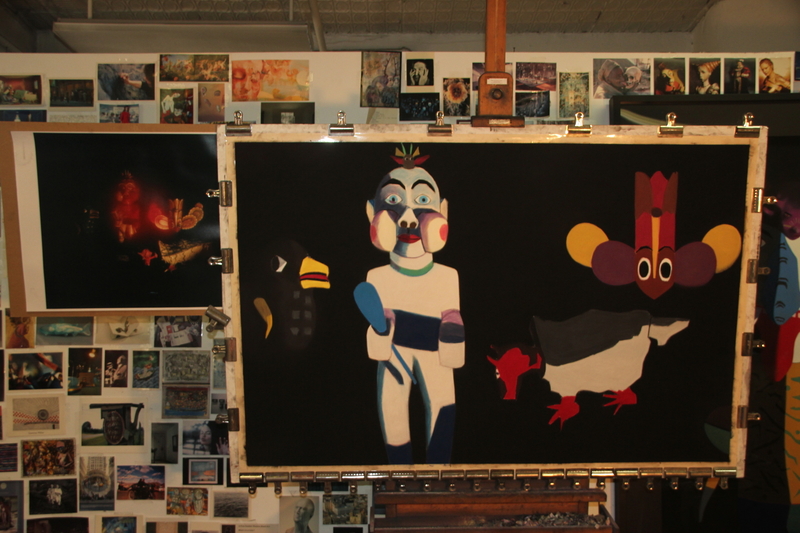 Posted on December 5, 2015, in Art Works in Progress, Black Paintings, Creative Process, Guatemala, Mexico, New York, NY, Pastel Painting, Photography, Sri Lanka, Studio, Travel, Working methods and tagged combines, continue, easel, Guatemala, Kandy, Mexico City, Oaxaca, painting, Panajachel, pastel, progress, Sri Lanka, working. Bookmark the permalink. Comments Off on Q: What’s on the easel today?.